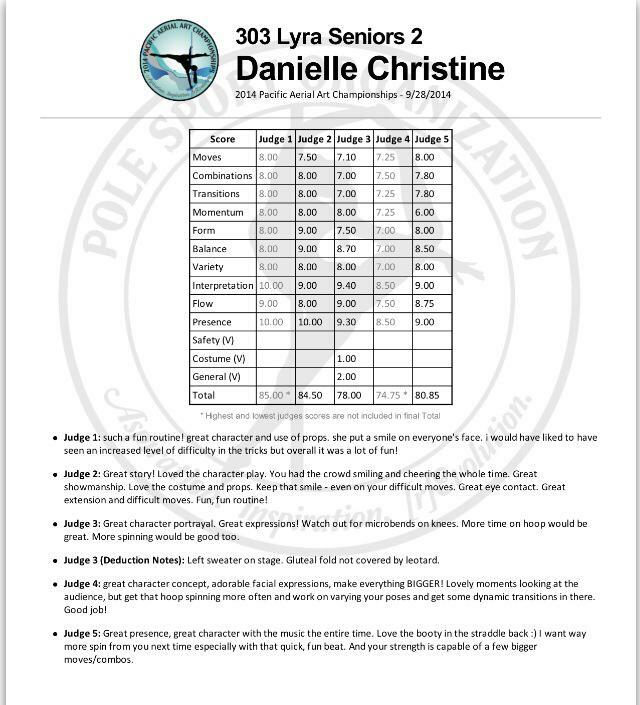 Posted on April 2, 2015, in Uncategorized and tagged advice, competition, competitor, how to give judging notes, judge, judging, Lyra, notes, PAAC, Pacific Aerial, performer, pole, Pole Sport Organization, PPC, PSO, suggestions. Bookmark the permalink. 2 Comments. Great post! This is so important, I’ve done one competition (also with PSO) and not only was the feedback severely lacking, but I also received an incorrect deduction. I don’t think the judge was familiar with the rules. I have never been a judge but i can imagine how difficult it is.